Can I use the information available in the World Footwear website and in the World Footwear Yearbook for my own publication? Feel free to redistribute this information for non-commercial purposes and always mention the source: APICCAPS | Word Footwear Yearbook | www.worldfootwear.com. For other purposes, please, contact us. We are very interested in any other additional information about the footwear sector so if you use the information produced and distributed by ourselves please send us a copy of your document - please see contacts page for more details on how to contact us. Why did APICCAPS decided to promote this initiative? 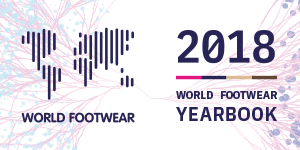 APICCAPS has been collecting intelligence about the footwear industry worldwide for several years for internal purposes. In 2011 we decided to release this information in an organized way and make it publicly available each year. Why is APICCAPS developing this project on their own? Although this is an initiative of APICCAPS, many international organizations and sectorial organizations in other countries have provided data included in the publication or in some other way contributed to the development of the project. We see this as an "Open Source" project and welcome any further contributions. We are particularly interested in collaborating with organizations that can be useful in the country profile data collection and in the dissemination activities. Feel free to contact us if you have some competences that can be useful for such tasks. Which number format do you use? This publication´s audience is very widely distributed and used do deal with different number formats. In some countries the comma is used as the decimal separator and in others the comma is used as thousand group separator. We use a dot as decimal separator and a space as the thousand group separator. Why are monetary figures presented in US Dollars? First, data from several of our main sources of information is presented in US dollars. Second, we wanted to use a single currency to allow international comparisons and the US dollar is generally used and accepted within the international business community for that purpose. Why is the Russian Federation considered a European country? The assignment of countries to continents necessarily involves some arbitrariness. In this report, we follow the United Nations Standard for Country or Area Codes. More information and details can be obtained from the classification information available here: http://unstats.un.org/. Some countries are also in a transition area (ex: Cyprus and Turkey are accounted as Asian countries). Some of the data published seems incorrect or inconsistent. What should I do? Please, contact us. We welcome your contribution. We have made every effort to assure that the information released is correct and complete, but it is impossible to guarantee that it is error free. I am the promoter of an event targeted to the footwear sector, what can I do to list it on www.worldfootwear.com? 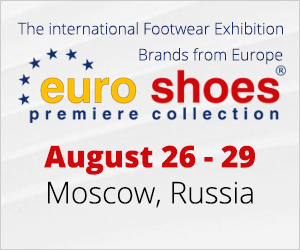 Just send us an e-mail to editor@worldfootwear.com with your event information and we will do our best effort to list it. Why don't you present a profile for my country? The countries profiled were selected combining their relevance in the footwear industry with data availability. If you have statistical information about the footwear industry in a country not listed, please, contact us.